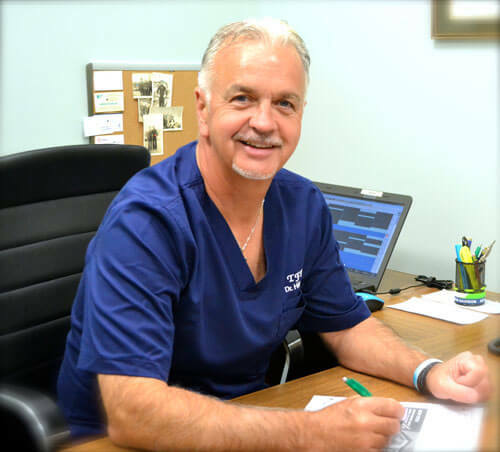 Dr. Hill has practiced dentistry in the town of Tyngsboro for more than thirty years. He was born and raised in Lowell, Massachusetts. He is a graduate of Georgetown University School of Dentistry (1984), St. Anselm College (1979), and Bishop Guertin High School in Nashua, New Hampshire. Dr. Hill is a long-standing member of the American Dental Association and the Lowell Dental Society. He established Tyngsboro Family Dental Practice in 1985 when he saw a need for a dentist in this growing town. He began his practice at Pondview Square and for the past eight years has been located at 94 Middlesex Road. Dr. Hill has always enjoyed practicing in Tyngsboro where he has seen many families grow and mature. He takes pride in his practice and cares about his patients, treating them with the attention and respect that they deserve.